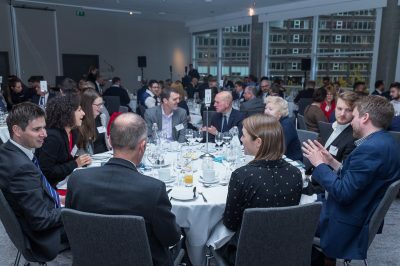 Join us for our May lunch where we will hear from a panel of experts who will provide commentary and analysis from the past 12 months, plus insight into predictions for the year ahead. 2017 saw the return of inflation to the sector as cost pressures from a weakened pound meant a rise in shop prices. Wage growth also started to stall, provoking worries about the spending power of the British consumer. However it was not as bad as predicted. Employment remained at record levels and we carried on spending for most of the year. The biggest difference was that traditional retailers didn’t do as well as spending shifted to entertainment pursuits and online rivals. 2018 is set to be an even harder year and we have already seen the likes of Toys R Us and Maplin enter into administration. The number of shops across the UK is expected to fall by 22% from 281,930 to 220,000 in 2018, according to forecasts by the Centre for Retail Research. It also predicts that a further 164 major or medium-sized companies will fall into administration, involving the loss of 22,600 stores and 140,000 jobs. But is it all doom and gloom for the industry or like 2017 is it just a case of moving with the times and adapting accordingly. Our lunches always book up fast so secure your place today. With fabulous hospitality along with stimulating debate, this is one lunch you cant afford to miss. Jennifer joined JMW in 2011 and deals with all aspects of employment law, however, she has particular expertise in contentious work and specialises in executive terminations, disciplinary and dismissal issues and discrimination. The Legal 500 describes Jennifer as “very level headed and accessible” and one of Jennifer’s key strengths are her client care skills and she develops strong relationships with both existing and new clients. The Manchester Evening News reported "Jennifer has been recognised for the outstanding contribution she has made to her firm and for demonstrating exceptional performance in the provision of professional services in the Manchester business community". David has over 20 years of commercial and retail experience gained within the Leisure, Travel Retail and Shopping Centre industries. 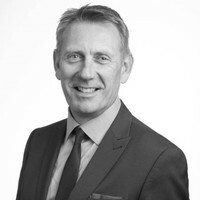 He has held senior roles at Bass, BAA, Manchester Airports Group and Lend Lease Retail – significant experience in asset management and the delivery of major retail projects. With 30 years’ experience in retail and retail property, Diane is regarded as one of the leading experts on the high street, retail destinations, retail intelligence and insights. Diane has an unparalleled knowledge and expertise in understanding current and emerging retail issues and trends. 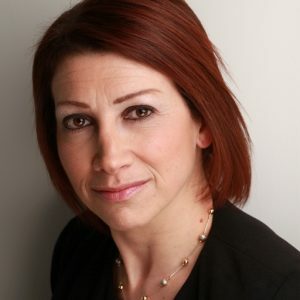 Diane has worked within the full spectrum of retail including a retailer and as an advisor and consultant. She is frequently called upon to comment on the performance of retail and bricks and mortar destinations across the national broadcast and print media appearing regularly on BBC and Sky News. Diane has significant experience in understanding trends and events on locational performance and is experienced in network and location planning. 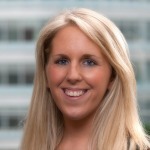 Diane holds an MSc in Property Investment and is a fellow of the Institute of Place Management. Colin is ex Director of Retail and Payments at Burberry where he was responsible for aligning Burberry’s Global Operating Model as part of The Conversion of Burberry Wholesale to Retail. He introduced Adyen Payments to Burberry between 2014-2017 and in doing so unified the customer journey underpinned by a single payment process across 300 Stores, 18 Countries and 4 Verticals. Prior to Burberry he was head of Internal Audit at the Kingfisher Group (B&Q, Screwfix, Castorama, and Koctas) and prior to that worked as a store manager across B&Q, Woolworths and Boots the Chemist for over 15 years. 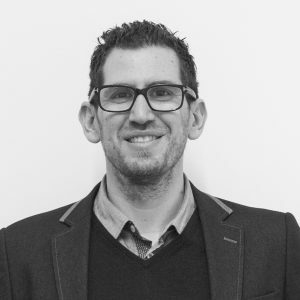 Guy Levine is the CEO and Founder of Return, an award-winning agency headquartered in Manchester. Guy founded his first internet business when he was just 17, before exiting one year later during the .com boom. He hasn’t looked back since. Guy founded Return in 2008 with a simple aim: to maximise our clients’ return on their digital spend. Today, Return is a multi-disciplined agency that drives the best return for ecommerce clients across the Lifestyle sectors. Return’s large team of consultants and channel experts specialise in digital strategy, Paid Social Media, Paid Search, Organic SEO, UX and Conversion Rate Optimisation. 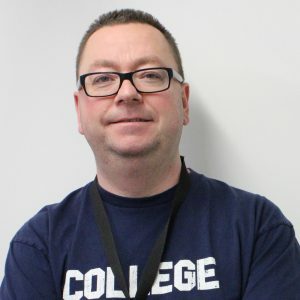 David is Principal Lecturer in Digital Marketing at Manchester Metropolitan University, where he runs a number of digital communications programmes, and is also the Associate Director for Digital Innovation. He is Course Leader for Manchester Met’s new E-Learning Global MSc Digital Marketing launching this September. He also set up their part-time MSc in Digital Marketing in 2007, a programme that has now graduated nearly 350 high-profile professionals into the sector, and their full-time MSc Digital Marketing Communication – now in its 3rd year. Julian King is a Partner of RLB in the UK, responsible for the development and leadership of RLB’s retail sector nationally. He has a wealth of experience working with leading retailers and retail property companies. 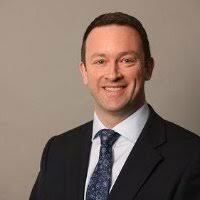 Joining RLB in 2004, Julian is a specialist in programme management with over 25 years of leadership experience. He has been the architect of many of the innovative tools, techniques and processes adopted by RLB to deliver our unique approach to programme and project management. These include mobile working platforms, database systems, innovative data capture processes, data analytics, and real time dashboard reporting systems. Julian has a broad understanding of the retail development process, and leads our teams delivering national refurbishment and major new development programmes. With a background in airport retail, Julian has enabled a strong sense of process and has an excellent knowledge of working with multi-stakeholder clients and operational environments. 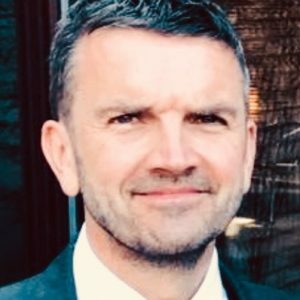 Julian is a member of the Chartered Institute of Building, a Chartered Construction Manager and is a qualified practitioner within the Managing Successful Programmes specialism.